Great news broke today! Cruelty Free International announced that Covergirl is now Leaping Bunny certified! Covergirl’s parent company, Coty, is not cruelty free but is working with Leaping Bunny to make at least 1 more of their brands CF by 2020. Covergirl and Coty have also clarified that Covergirl is not selling in China. 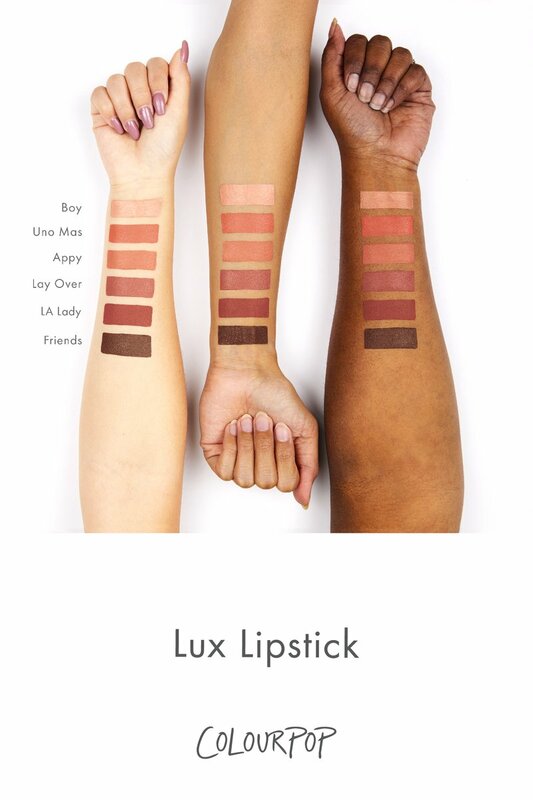 I’m thrilled to see a major drugstore brand go Cruelty Free. I hope this will encourage other major brands to take the leap. 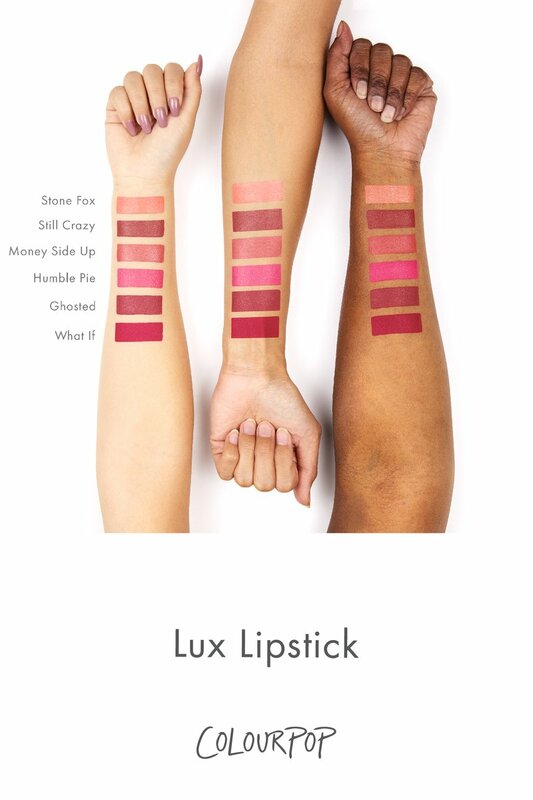 Check out what’s left from ColourPop’s most recent clearing! 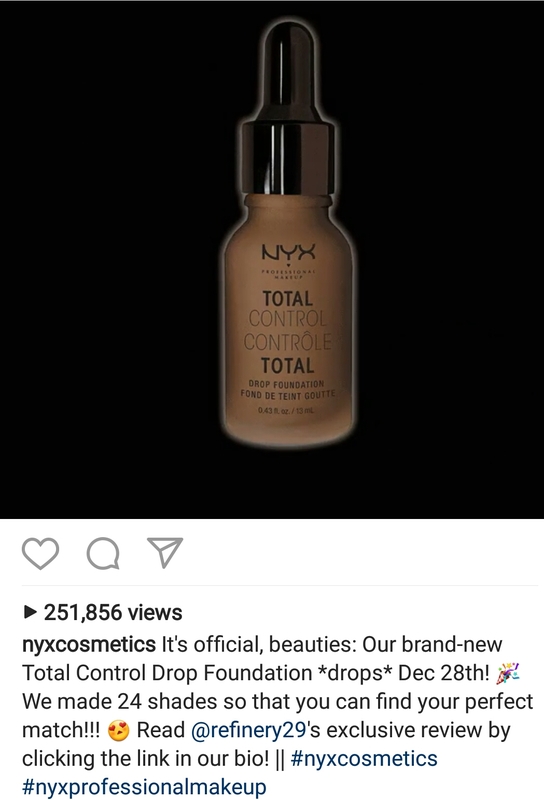 On December 28th, NYX is dropping (ha) their new foundation. 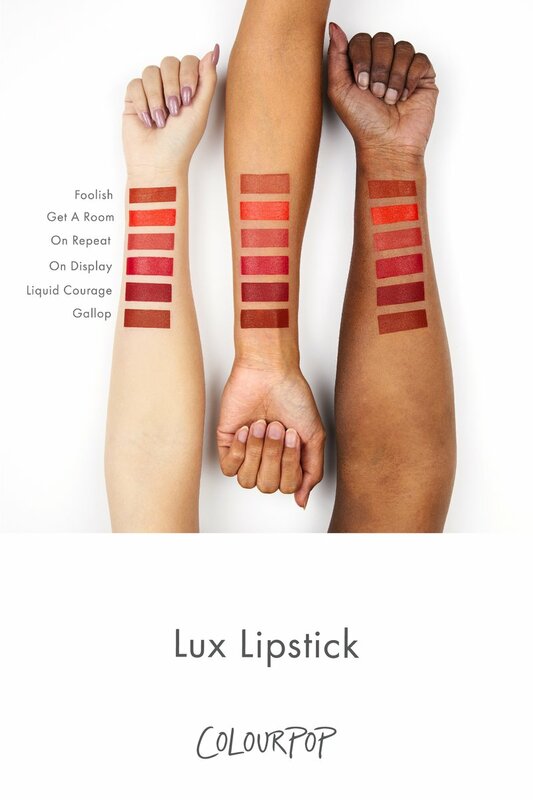 It will be available for around $14 and have 24 shades! Last week, Estée Lauder bought Too Faced Cosmetics. 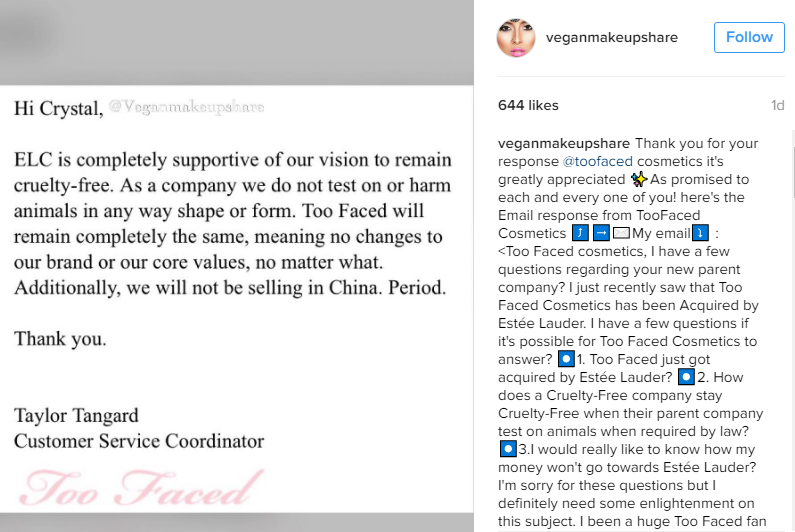 Too Faced has announced that they will remain cruelty free and will not be selling in China, though only time will tell. Last week, Taiwan announced that they would be banning cosmetics testing on animals for both ingredients and finished products. The bill goes into effect in 2019 after a 3 year transitional period. It is the first country in SE Asia to propose a ban against animal testing. People in Taiwan can still buy imported cosmetics that have been tested, but the #BeCrueltyFree Taiwan campaign is going to be working on ending this as well. As we know, Estée Lauder is not cruelty free but BECCA states that they will remain cruelty free on their FAQ. We will have to wait and see how they continue forward. An interesting read. 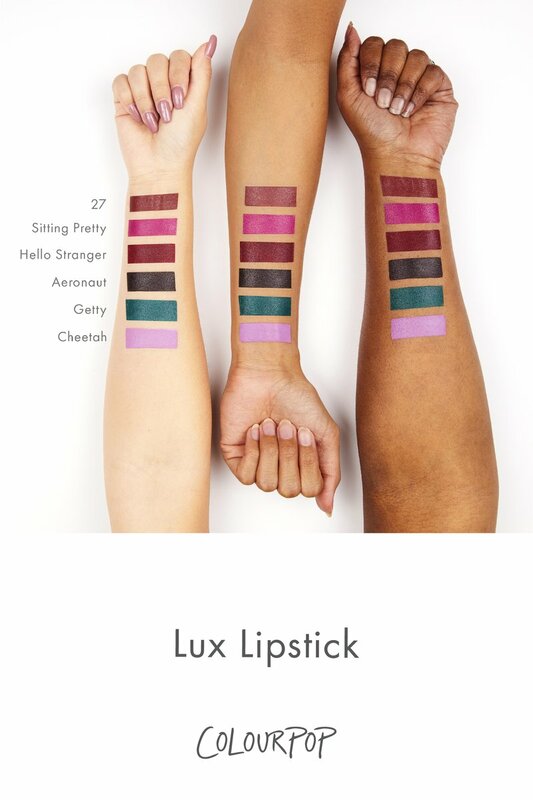 I myself was a follower of Trendmood until I read this. I had no idea that they were breaking contract (their own or others) by posting sneak peeks to early. I don’t know how she’s not in any legal trouble. I also learned that she has been taking others’ photos and not only providing no credit, but blocking people who did ask for credit to be given to them. That is a HUGE no-no for me and should be for others as well, it’s a blatant copyright violation. Rumors about Burt’s Bees selling in Mainland China have been confirmed by the company. You can read a much more detailed report from Suzi at Cruelty Free Kitty here, but I will provide a short overview below. Burt’s Bees has been selling specific products in Mainland China, which we know has laws for testing on animals on products from foreign countries. They state that they are only selling products that they can get away with using loopholes in the laws to avoid animal testing, specifically pre-marketing testing. However, China also employs post-market testing, and it is unclear whether Burt’s Bees could still be considered cruelty free for this reason. Burt’s Bees isn’t a brand I really buy from, and I won’t be until further information is released. As always, I stand by my policy that this is a personal decision for individuals to make. Hopefully we hear more from the company soon. L’Oreal has purchased yet another cruelty free company, this time it’s IT Cosmetics. 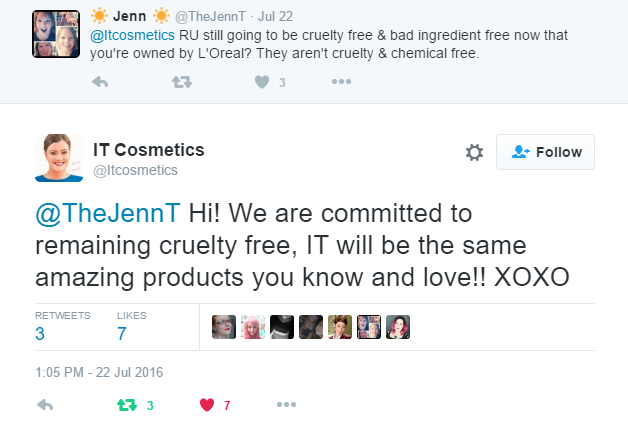 According to IT Cosmetics on Twitter, the company is going to remain cruelty free even under L’Oreal. You can see find the Tweet here.